I spent last year's Christmas with Maria and her family in Poland!! The trip was longer than expected. Due to snow conditions I missed a plane and had to spend one night in Helsinki. A few days after my arrival, Maria's cousins (Ela and Ula) and their parents came to spend Christmas together. Actually they didn't know I would be there, so maybe they got surprised hehe. 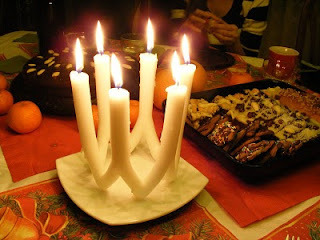 They brought even more cakes and cookies and we spent long hours playing board games. Maria's house was nicely decorated and it looked like real Christmas! We had a good time and my favorite game was Shogun, because I could build castles and protect Nagoya from the neighbor prefectures! :D I also enjoyed another game called Fasolki (Bonanza in Spanish) asI could learn important words in Polish as 'pijak' (drunk). 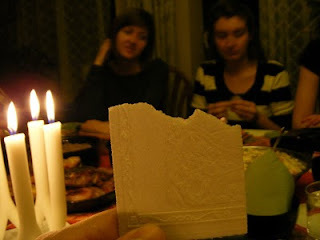 In Christmas day, we did a Polish tradition that consists of giving a piece of 'sacred' bread to each other and say some good words. 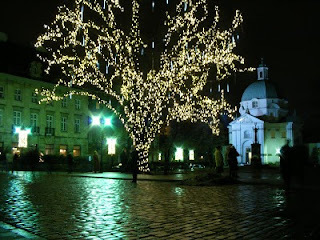 Warsaw's streets had beautiful illumination on the trees. We went together for a walk in the old town and visited a Polish church. 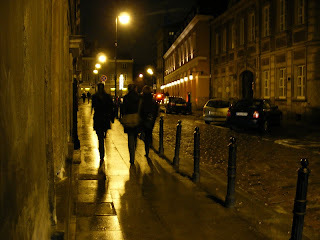 During the day I walked the streets of Warsaw with Maria and she took many good pics. 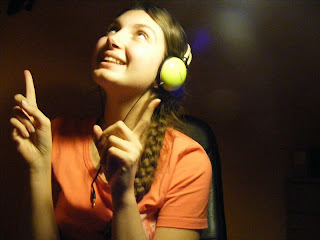 The first photo is really beautiful, and so do Maria!! !